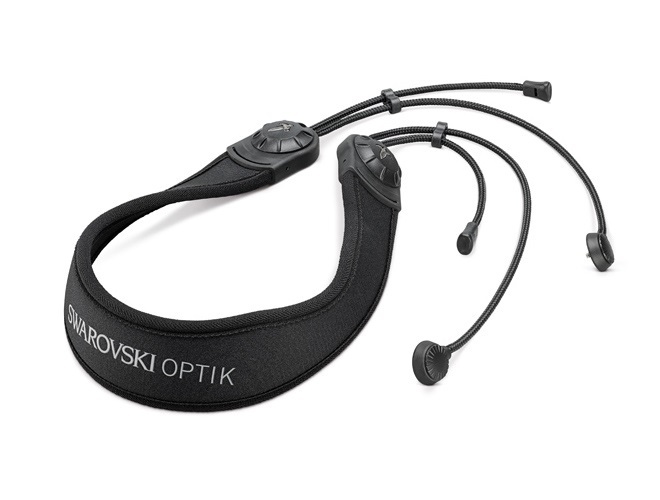 The Swarovski Optik lift carrying strap pro can be quickly adjusted to any length. Keep the strap short for optimum wear while walking or lengthen to ensure plenty of comfort and freedom to move when resting. If desired, the lift carrying strap pro can also be worn diagonally over one shoulder – a popular choice especially for those on safaris. Suitable for all new EL FieldPro and EL Range binoculars.